Yesterday, we failed at herding cats! (You’ll see what I mean in the video.) 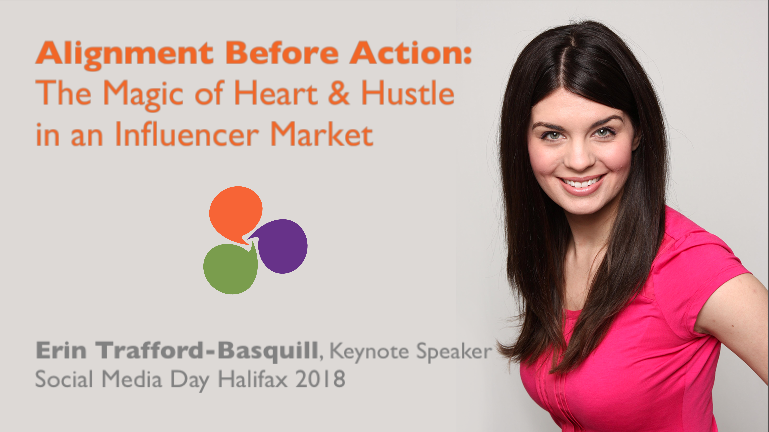 But we’re excited to announce award-winning blogger and media personality Erin Trafford-Basquill as our talented and dynamic keynote speaker at Social Media Day Halifax 2018. Erin is the creative instigator, influencer and DIY enthusiast behind DIY Passion and a co-host of In The Story House podcast. On the morning of the conference, you and I will be sipping coffees and settling into plush seats at Scotiabank Theatre Halifax. Erin will be sharing her amazing story, her heart, and her hustle! Erin will get you and me thinking differently about creating Alignment Before Action: The Magic of Heart and Hustle in an Influencer Market.